Is this where I put a joke about Chris coming first? Heh. 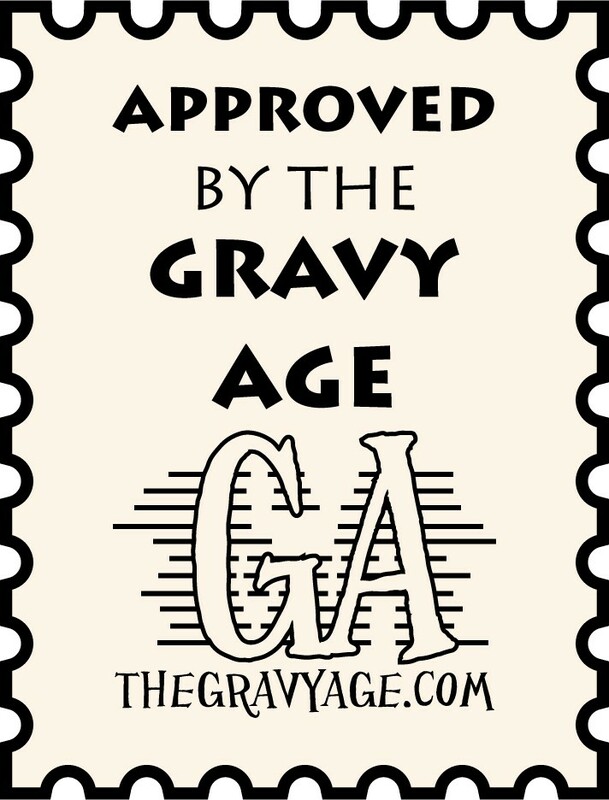 After quite a wait, The Gravy Age is on Google Play. 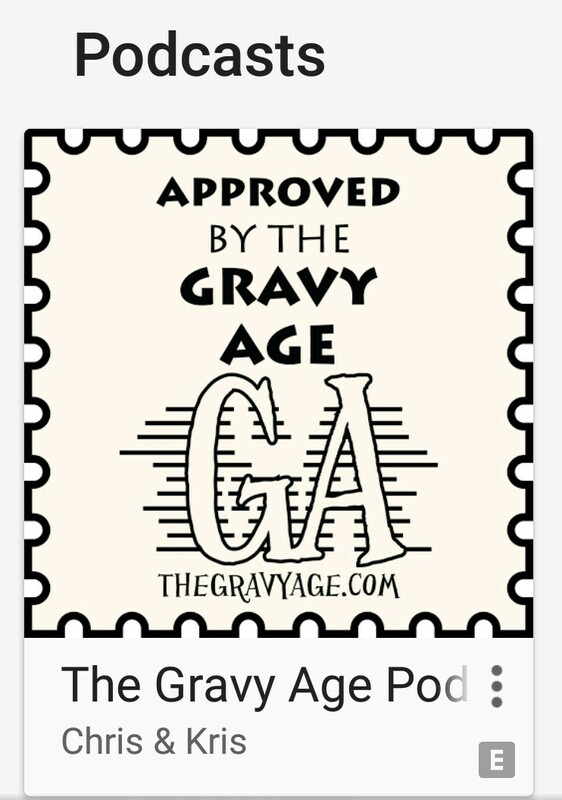 I hope you will stop by, listen, and subscribe. See you there. And by there, I mean here. I just wanted to take a minute and do a quick post to some cool things going on around the web this week. Check ’em out. Blackwood Cottage: The Art Of Jessica Stadtmueller– Check out Jessica’s awesome creations here and congratulations to Jessica for being featured in this months issue of Stuffed Magazine! Rags & Old Iron– For some other amazing art, jewelry, and more check out this stuff from my friend Jen, including her amazing comics bracelets in her Etsy shop here. Mr. Throwback Thursday– It’s not Thursday, but that doesn’t mean you can’t still throwback. Give Jamie and Bill a visit over at their site here and give a listen to their awesome old-school hip-hop podcast and more at their site. Grape City Con– I’m very happy to see that Grape City Con was a success and the date for next year has been announced. The show will be Saturday, February 13th. Check out the announcement for the show and the amazing poster for the show here and if you’re anywhere near the Central Valley here in California, come on by. Prophetica– I talked to Tim Mayer awhile back and you can check Prophetica, written by Vince Twelve, Pencils & Inks by Tim Mayer, Colors by Jason Wordie, and edited by Chris Wolfgang here and read it in your browser or as a pay what you want digital download. Ramshackle– Fifth Dimension Comics is back, to bring us Ramshackle: An Art Presentation, a 32 page book featuring a murderers row of contributors. 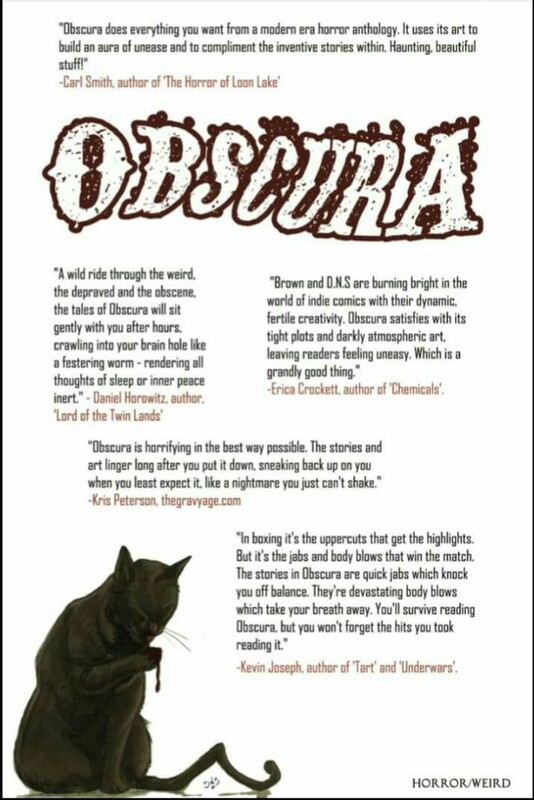 D.N.S., Ray Wegner, Doug Michel, Shawn Daley, Timothy Conroy, Claire Connelly and John Bunger, combine forces for the book, and some amazing skateboard decks. Go here. Creative Women Mini-Con 2015- Empire’s Comics Vault in Sacramento is gearing up for their 3rd annual Creative Women Mini-Con on Saturday, October 3rd, They have a ton of talented women lined up including Barbara Kesel. (I just reread the Hawk & Dove mini, review coming soon) for a full list of guests and more information, click here. And finally, my post about Keegan-Micheal Key and Dwayne McDuffie from September 5th, has in fact been confirmed, as seen here on Bleeding Cool. What do a man that dresses like a bat, a clown prince, chickens, a mantis, and a spider have in common?